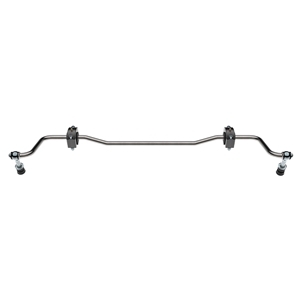 Providing increased stability for both street driving and drag racing use, our lightweight, tubular-design, 3/4"-diameter antiroll bar is black-powder-coated. Includes urethane bushings; custom linkage eyes manufactured in-house; stainless-steel hardware; polished, billet-aluminum clamps (instead of the stamped-steel clamps common to other manufacturers). This is a true bolt-on installation.